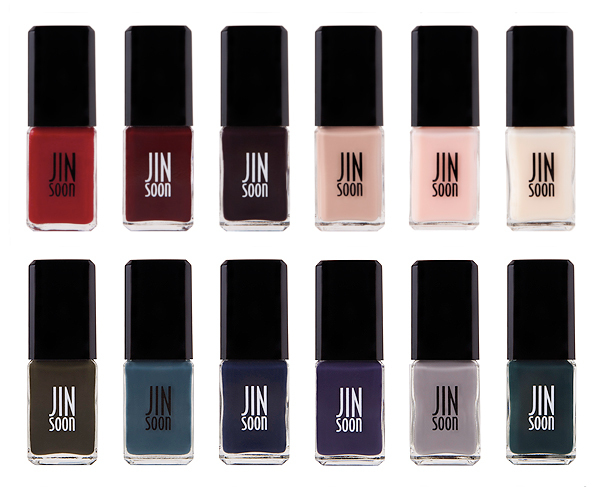 We get all excited when new nail collections hit the beauty scene, but we're really freaking out about JINsoon, the eponymous line created by fashion manicurist Jin Soon Choi. She's a regular backstage at New York Fashion Week, creating the nail looks for designers like Prabal Gurung, Tracy Reese and Alexander Wang. A-Listers like Eva Mendes, Michelle Williams, Rihanna and Cate Blanchett all call on Jin Soon for perfectly polished nails, and even if you can't head on over to one her Manhattan Hand & Foot Spa locations, you can still get her eye for color and quality with her well edited collection. The Quintessential Collection is made up of three classic red shades and three pale neutrals. The A La Mode Collection consists of six trending shades each named by Jin Soon's runway model friends. 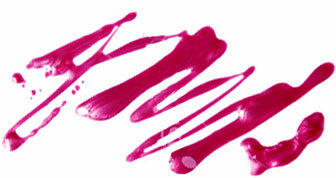 The formula is long lasting, with rich color payoff and smooth application. It's also 5-free, which means no formaldehyde, toluene, DPB, formaldehyde resin or camphor. And to make the collection complete, Power Coat is a base coat fortified with biotin and peptides to strengthen and smooth out the nail surface for perfect color application, and Top Gloss is a quick dry top coat that has supreme shine and penetrates to the base coat for an extra-durable manicure. You can get your fingertips on the collection this September. Each shade retails for $18 and will be available at select Sephora and Space NK locations.